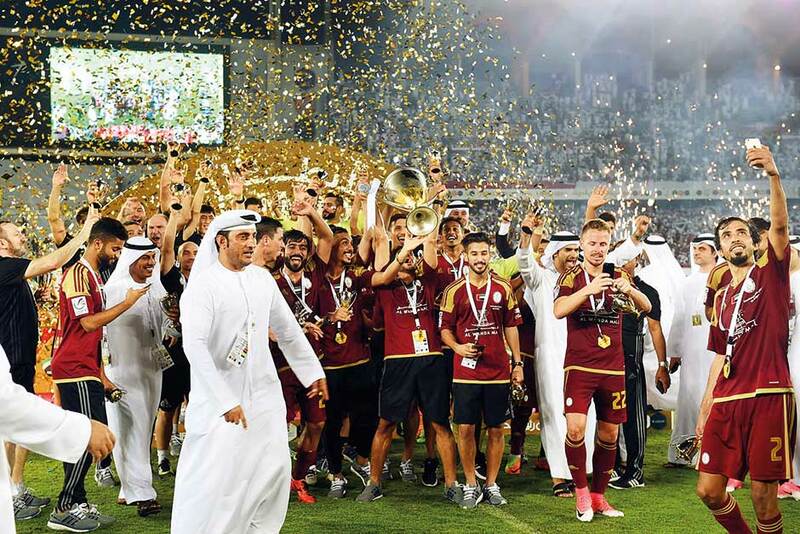 Abu Dhabi: Al Wahda may have end their 17-year title drought in the President’s Cup with an authoritative 3-0 win over Al Nasr on Saturday, but it didn’t mean their coach Javier Aguirre is getting an extension on his contract. It is learnt that former Romanian mid-fielder Laurentiu Reghecampf will be taking over the reins from Aguirre. Al Nasr will also be parting ways with Dan Petrescu and have made a high profile signing — Italian Cesare Prandelli — signalling the return of super coaches to the UAE football once again. Argentine legend Diego Maradona has taken charge of the second division Fujairah Club last week. A club official confirmed that Reghecampf will be Aguirre’s replacement and the decision was taken long back. The club is yet to make any official announcement and is in a celebratory mode following their triumph with a grand reception planned on Saturday evening. Romanian media, meanwhile, has put up the news of Reghecampf’s current club Steaua Bucharest confirming that the 41-year-old was parting ways to move to the Middle East. Hungarian National Team captain Balázs Dzsudzsak, who stared for Al Wahda with two goals against Al Nasr, had thrown his weight behind Aguirre following the triumph on Friday. “Sure, of course he (Aquirre) should be retained. I hope so because we won the President’s Cup with him and everybody knows what he can do with the team. He has guided us well and there is good effort on the field by the players,” Dzsudzsak had said. Argentine striker Sebastian Tagliabue of Al Wahda also felt that Aguirre’s exit will leave a ‘big door open’ and winning the two title in two years — Arabian Gulf League Cup and President’s Cup speaks volumes about the coach. “We won this President’s Cup and players were amazing in the AFC Champions League where until the last game, we had a chance. Coach did well in the two years and also he works a lot. And one thing he did that many coach didn’t do is, win two championship in two years. I want to thank him as he supported me a lot and the entire team,” said Tagliabue. New coach Reghecampf started his managerial career with Liga II side Snagov in 2009. He hit a high with Steaua by leading them to last 16 of the Europa League after eliminating Ajax before losing out to eventual winners Chelsea in 2014. Reghecampf also won the Romanian League and later the Romanian Supercup. Under him, Steaua also qualified for the Uefa Champions League group stages and in the Romanian Cup final, they finished runner-up on penalties. His earlier Middle East assignment was with Saudi Arabian powerhouse Al Hilal whom led to the AFC Champions League final within five months of his appointment, defeating Al Ain 4—2 on aggregate in semi-finals. But they lost the final to Western Sydney Wanderers on a two-leg match. Prandelli, the 59-year-old former Italy tactician, was currently a free agent after brief spells with Galatasaray in 2014 and Valencia from October to December 2016. Prandelli had guided the Italian national team to a runner-up finish at the 2012 European Championship and has managed Italian Serie A clubs like Parma, Roma and Fiorentina. He also had a short stint with Spain’s Valencia.